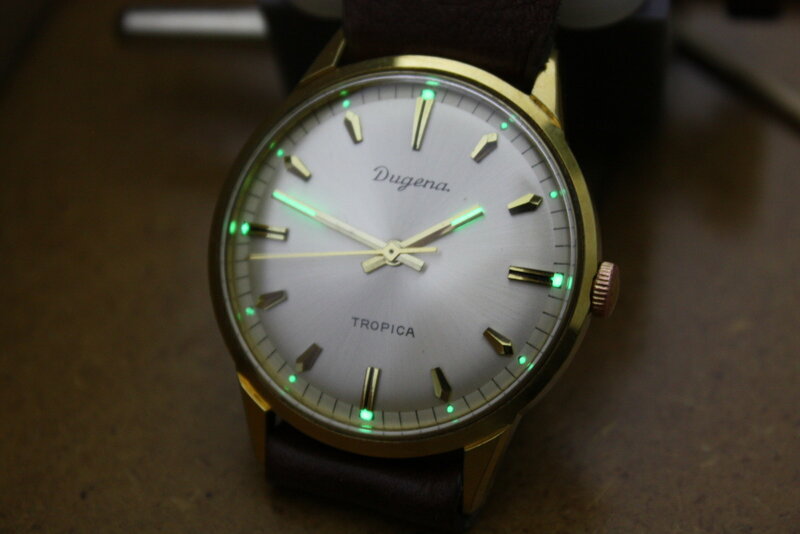 This is a handwound vintage Dugena Tropica watch. 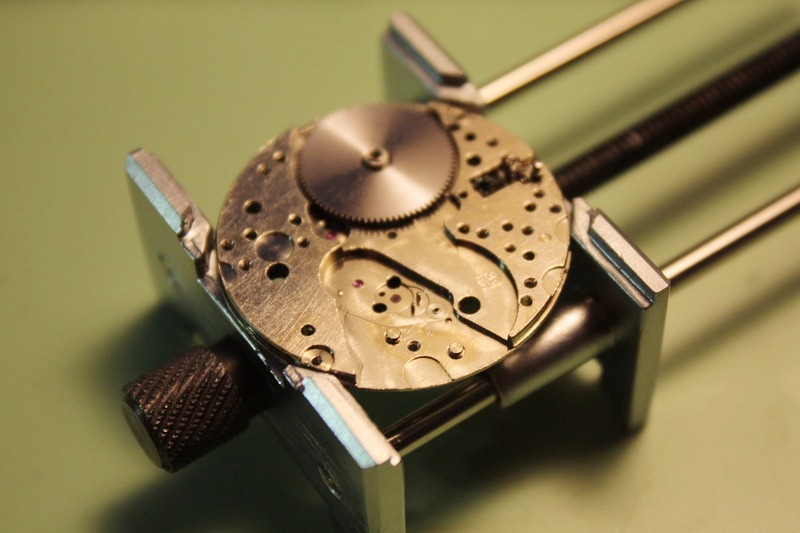 Inside is a "Dugena 715" labelled movement which is actually a AS1604 movement by Swiss movement producer Albert Schild. 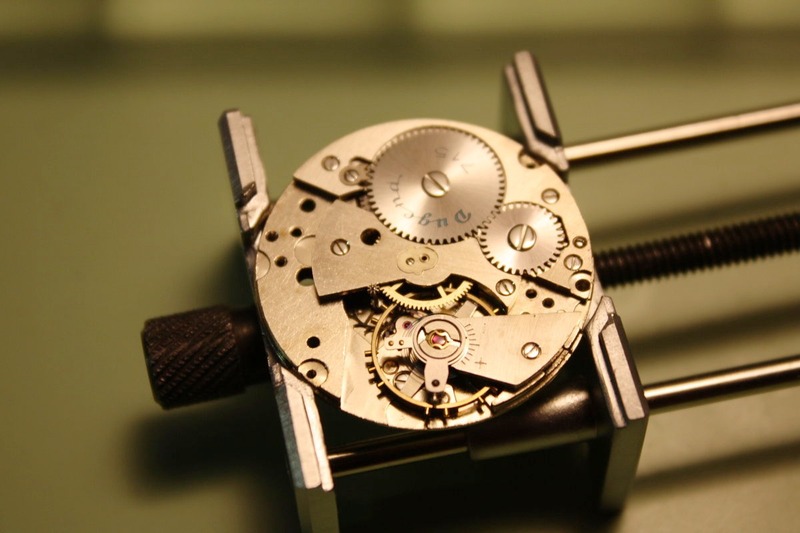 According to Ranfft watches, the watch movement is a high-quality "Wehrmachtswerk" which has originally been developed for the German army during WW2. 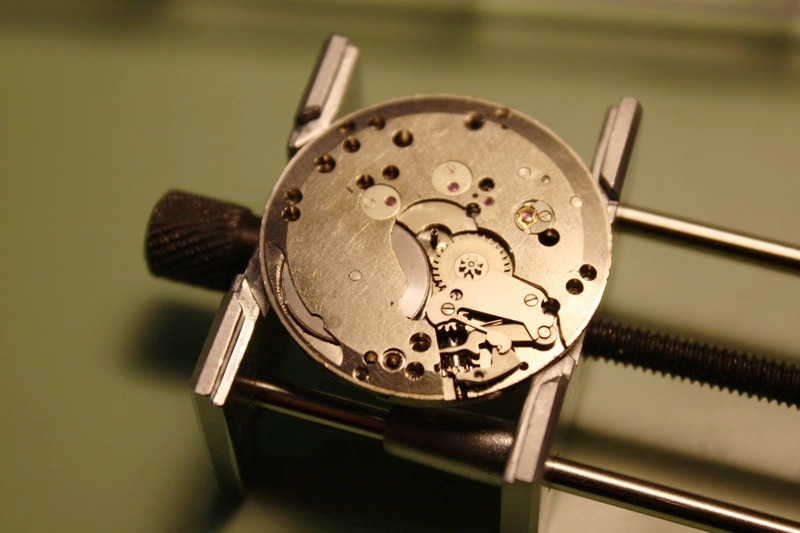 After a few gentle knocks to free the wheels (the old oil has become a smeary mass), the movement started ticking. 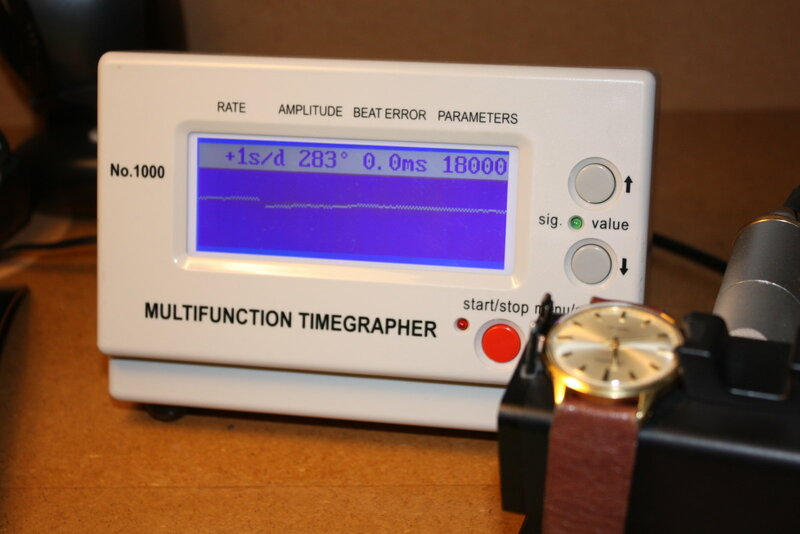 The sounds from the movement were too irregular to be interpreted by the timegrapher - time for a service. 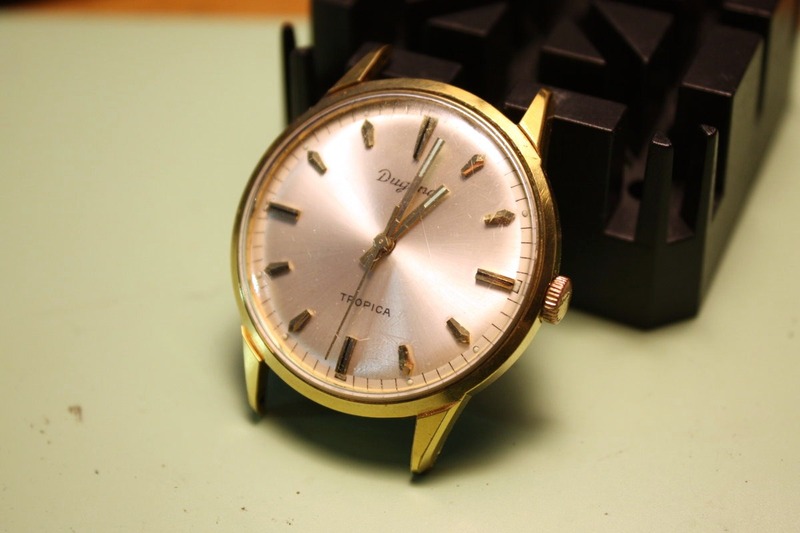 The dial looks as good as new under the scratched crystal. 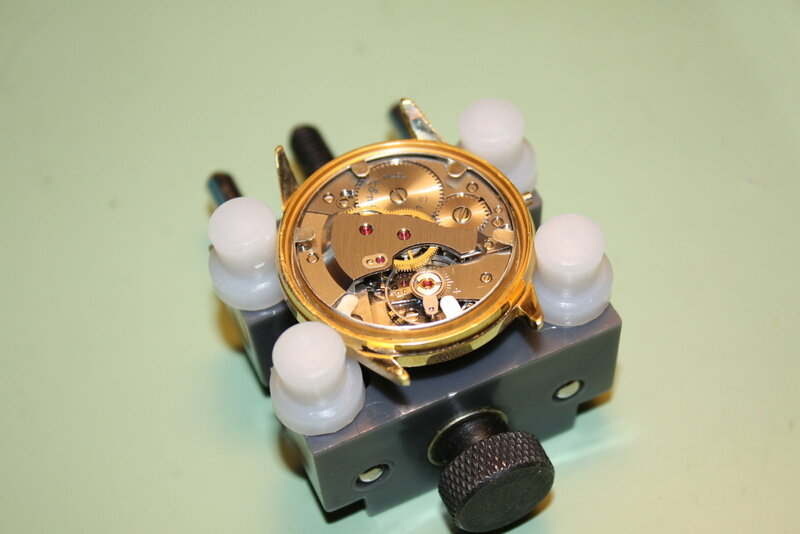 A look under the dial. 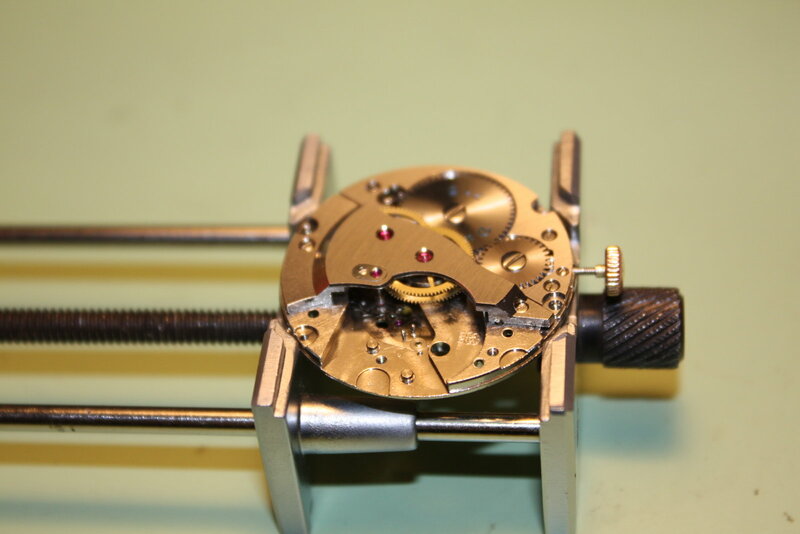 The keyless work and the removable cap jewels and Incabloc shock protection (the four cap jewels explain why this movement has 21 instead of only 17 jewels as typical handwound movements). 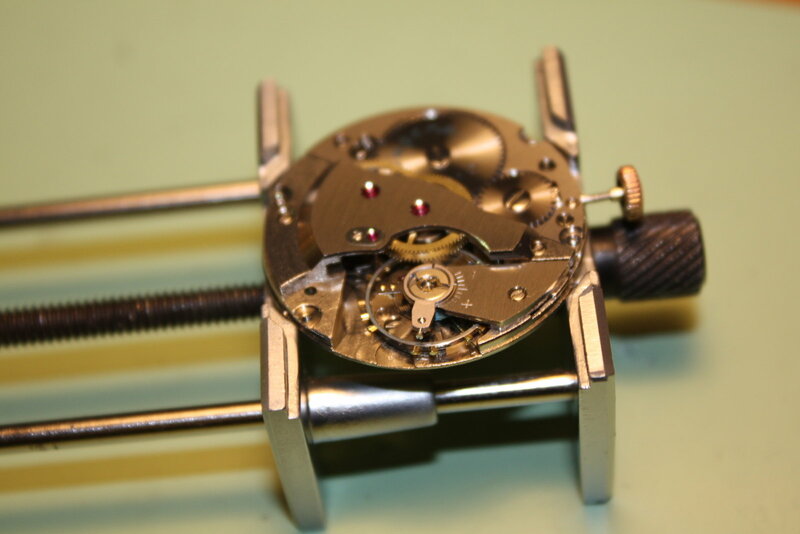 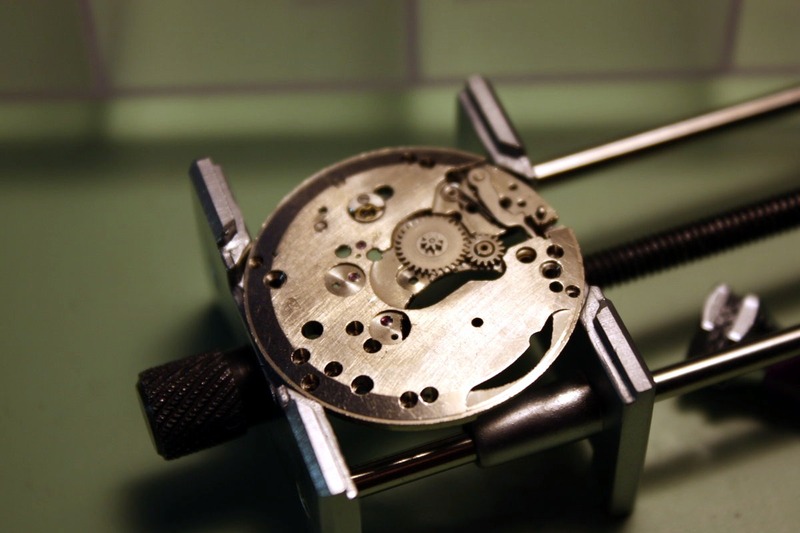 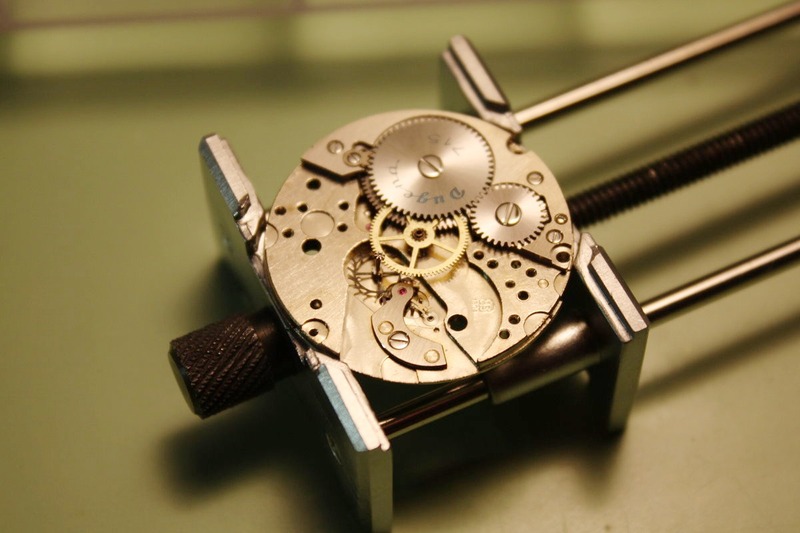 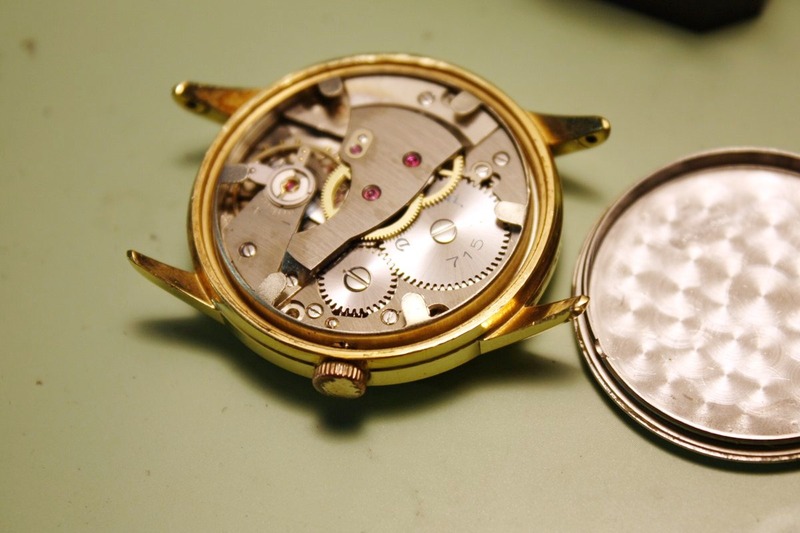 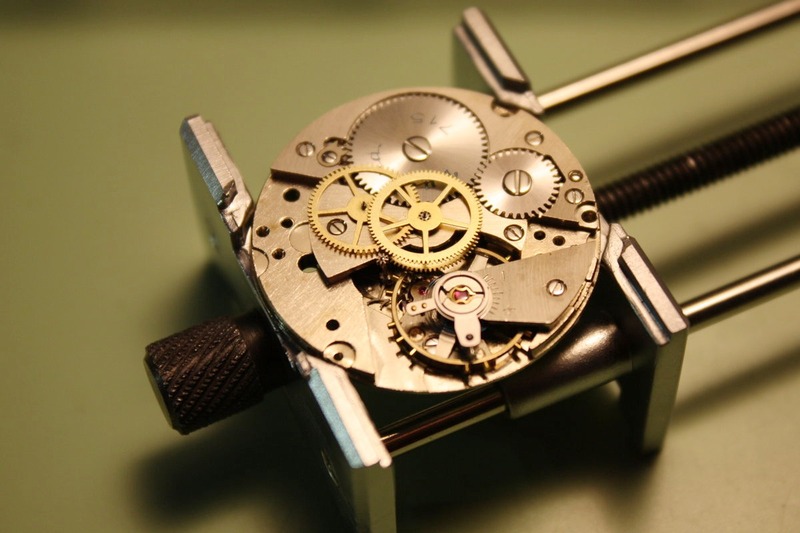 The balance with screws - another example for the good quality of the AS1604 movement. 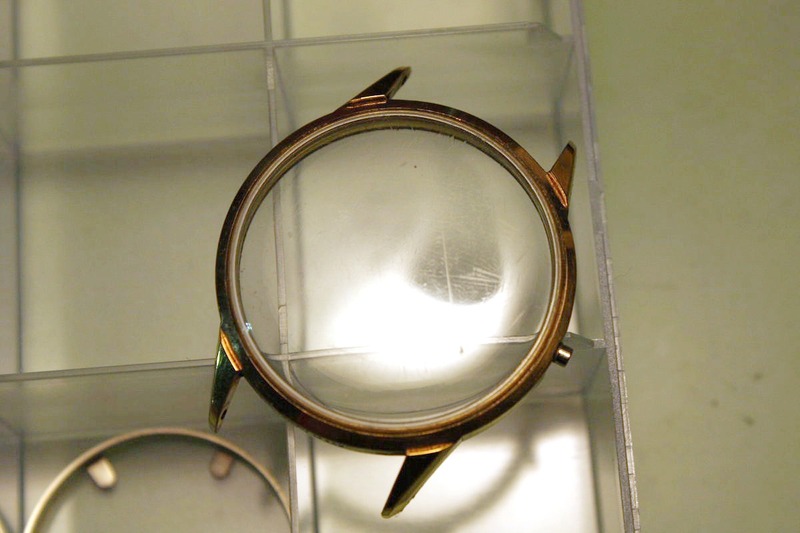 The central wheel bridge has a replaceable bearing. 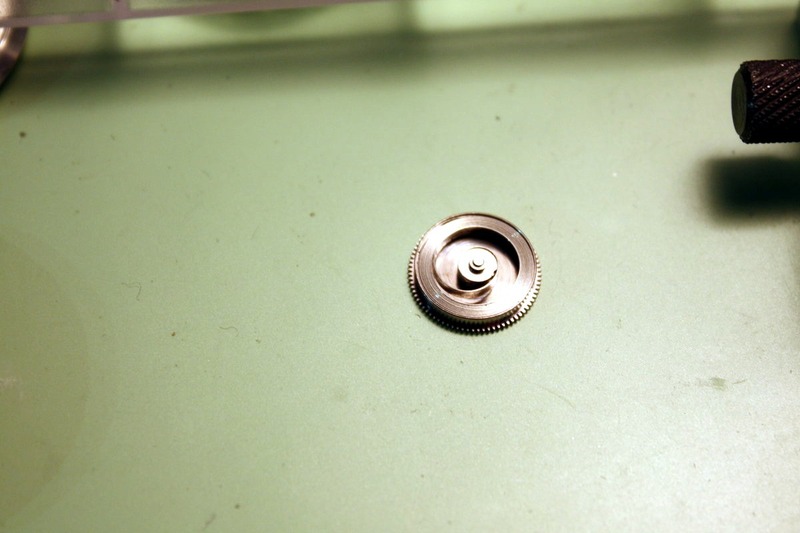 Under the removed ratchet wheel the click spring becomes visible. 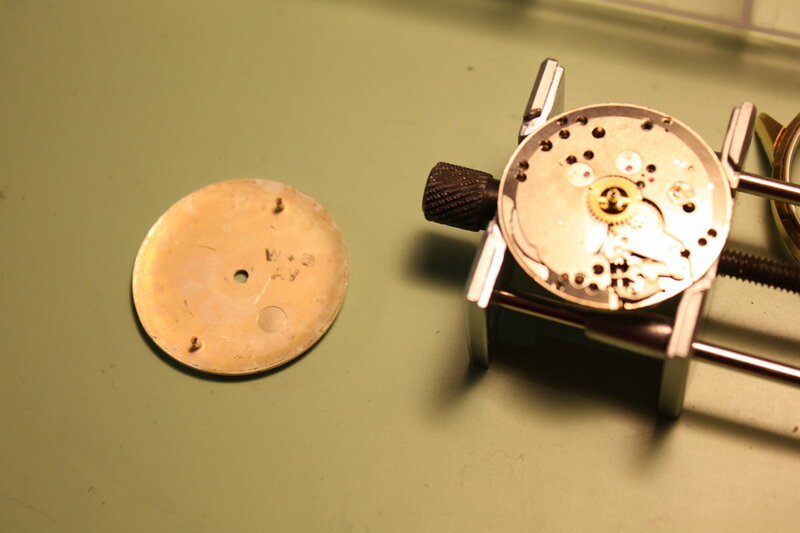 Disassembly of the keyless work. 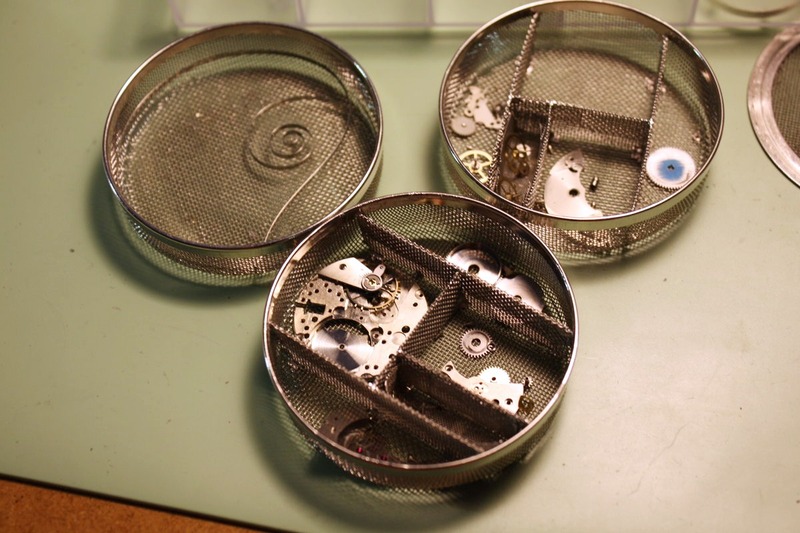 A look inside the mainspring barrel. 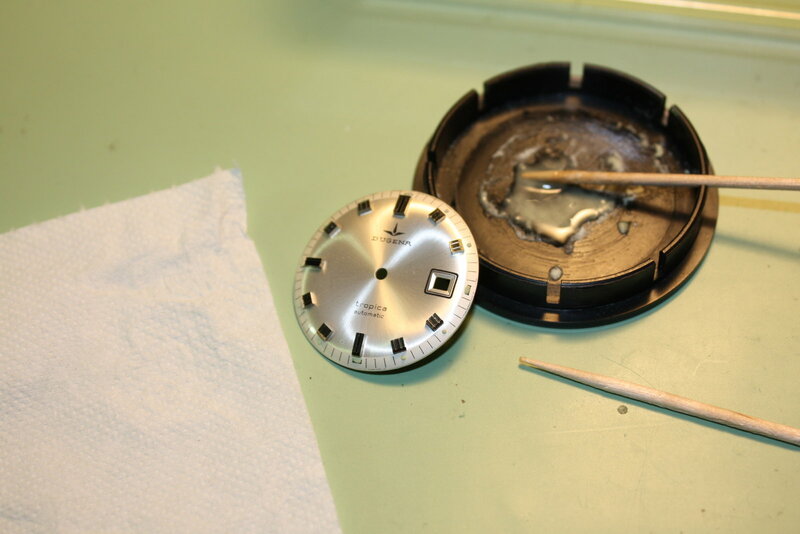 The disassembled watch before cleaning. 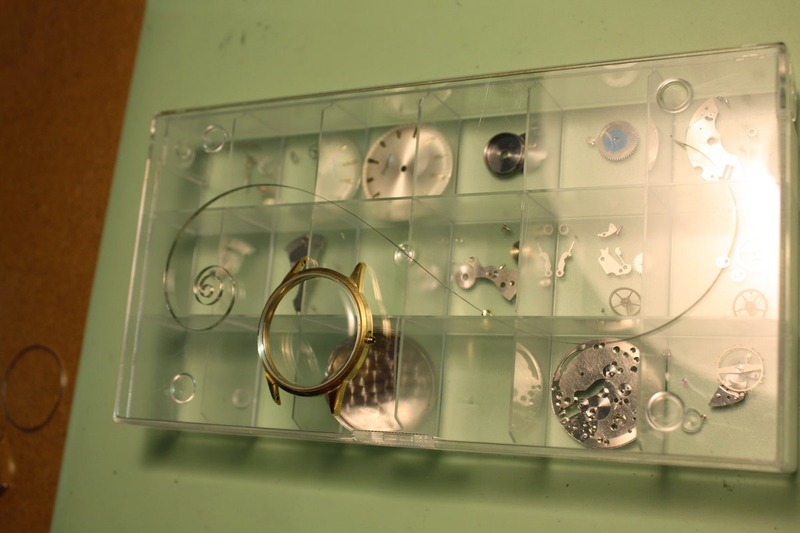 The case before cleaning and polishing. 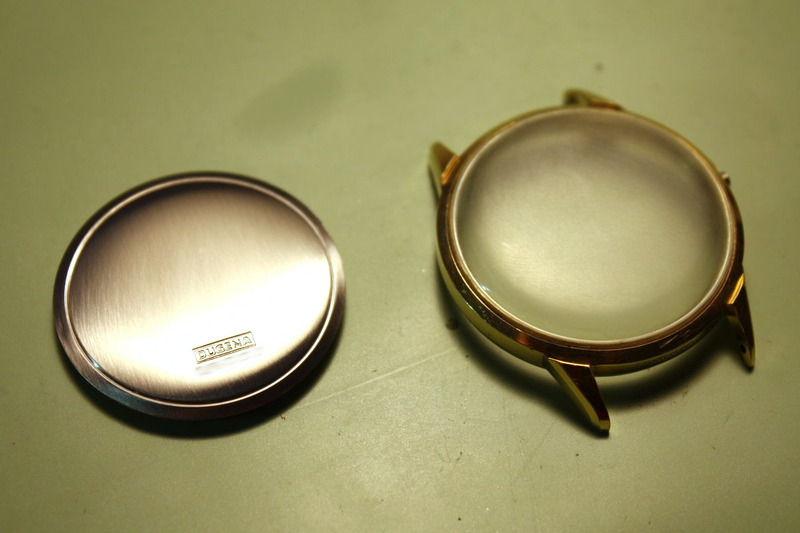 The case and crystal after a first rough polish. 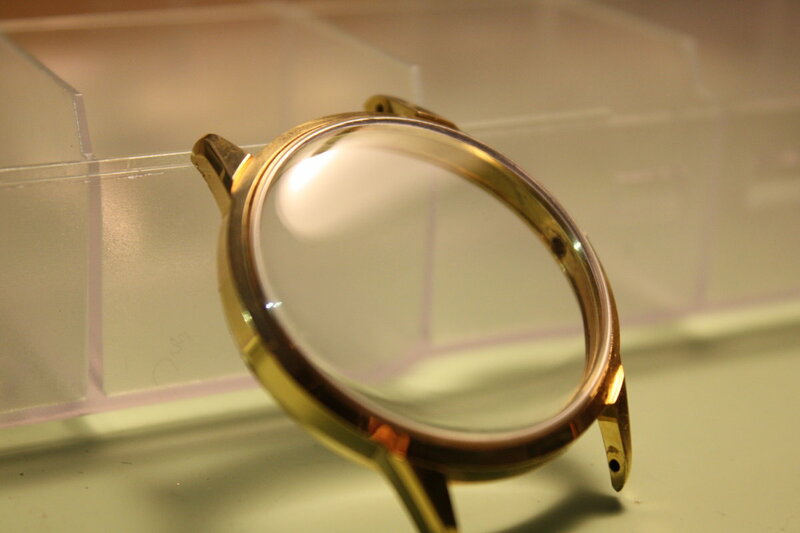 The crystal after the final polish - yes, it´s indeed still the same crystal. 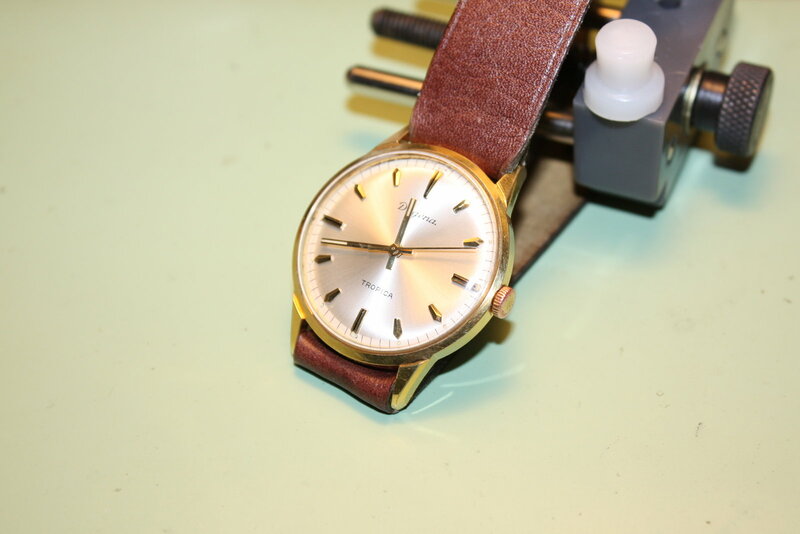 Finally I could finish the watch. 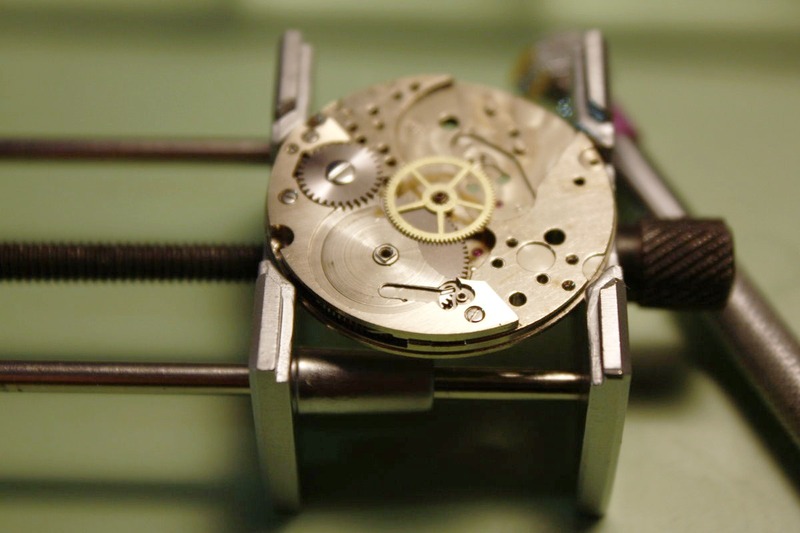 Here the movement before the balance went in again. 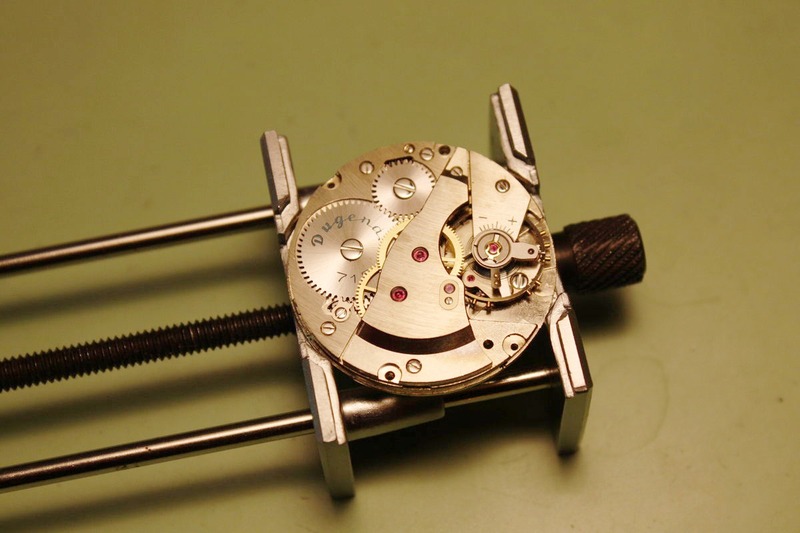 Movement and case-ring back in case. 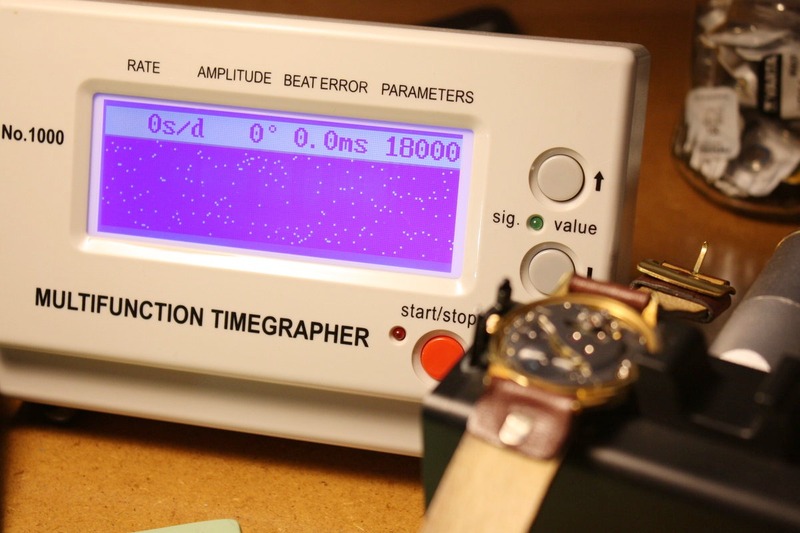 This movement really delivers regarding accuracy as the straight line on the timegrapher shows. 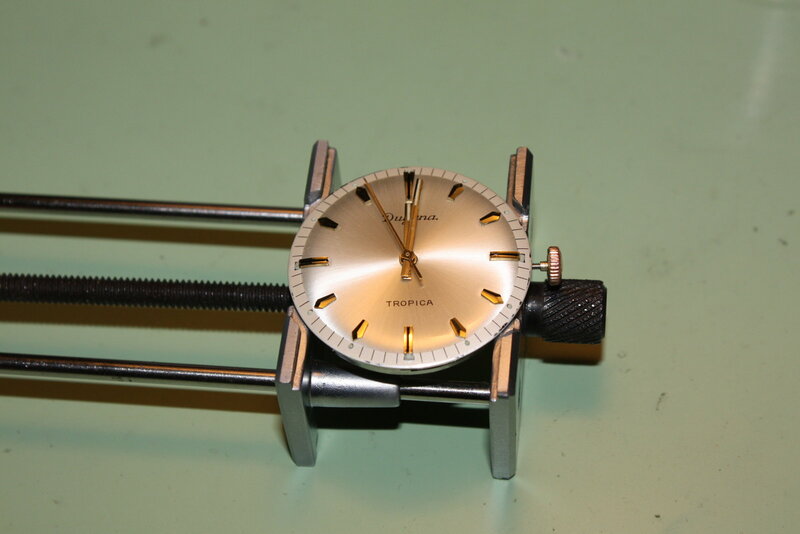 Finally the finished watch in daylight. 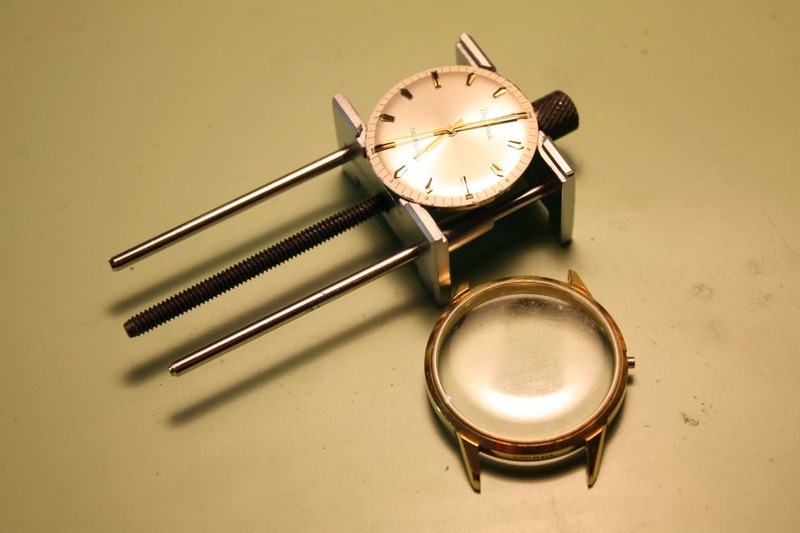 And a long exposure in darkness to present the re-lumed dial.